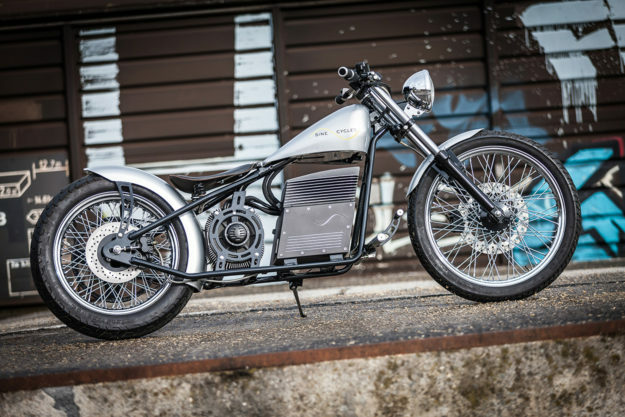 Are electric bikes the future? We’re not sure—but with EU regulations getting progressively more restrictive, it’s not completely unfathomable. If that day ever comes, put us down for one of these. 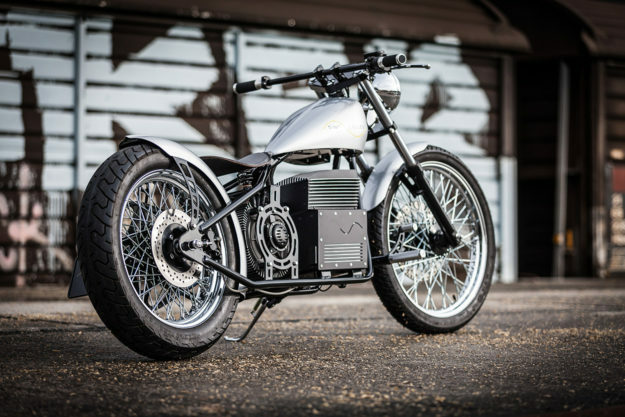 Yes, you’re looking at an electric chopper—and a damn pretty one at that. 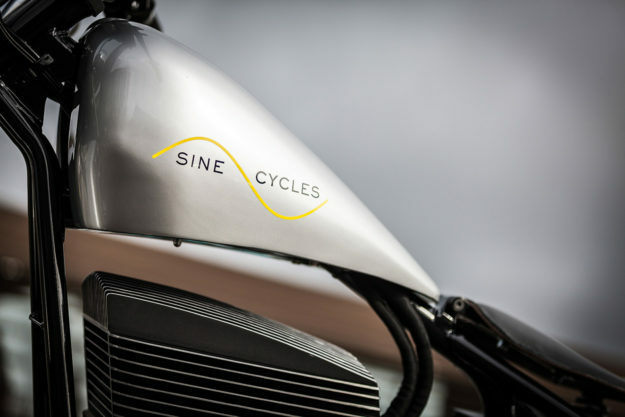 It’s the brainchild of electrical engineer Bruno Forcella, who works under the alias of Sine Cycles. He actually built the bike over a year ago, but it’s the first we’ve heard of it. And it’s so intriguing, that we had to share. 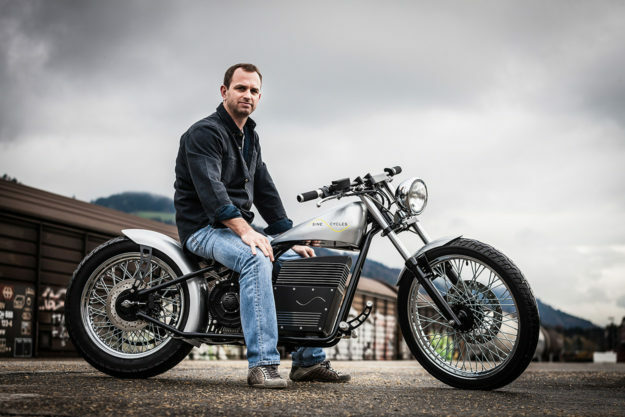 Why an electric chopper? Simple: Bruno wanted to build something out of the ordinary, but couldn’t figure out quite how. Then it hit him. 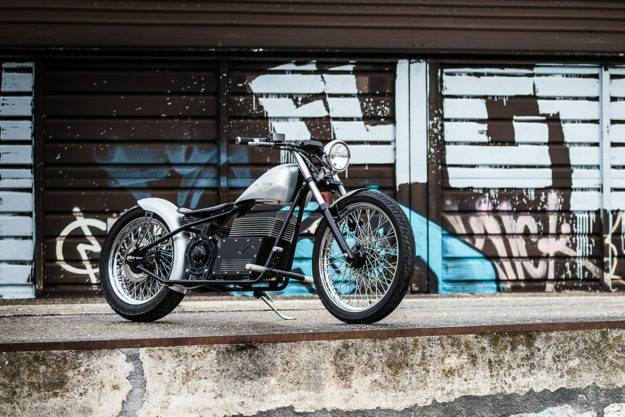 Bruno started by stripping a second hand Cleveland Cyclewerks Heist down to a rolling chassis. He then de-tabbed it, and added new mounts to hold the electric drivetrain. 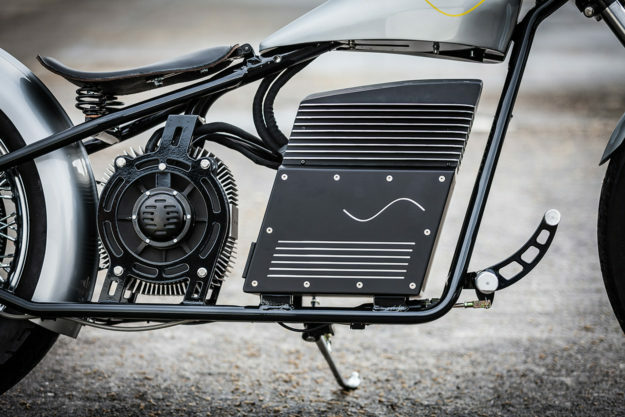 The drivetrain itself is from Zero Motorcycles. Zero don’t normally sell their proprietary parts—only complete bikes—but somehow Bruno convinced them. That means his little hardtail is now good for 57Nm of torque, with a clutchless direct drive sending power straight to the back wheel. The range is only about 55km, and the top speed is about 120km/h. 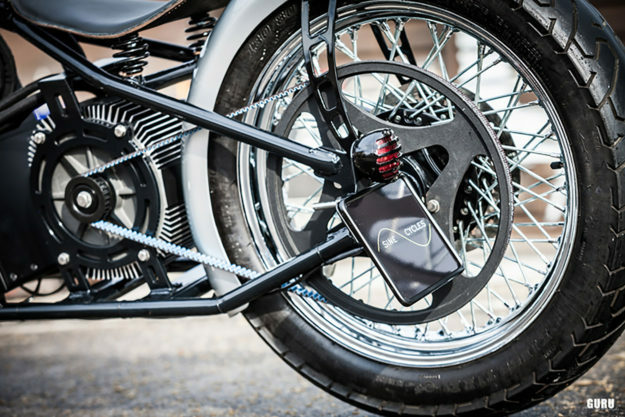 Then of course there’s Zero’s app: it syncs via Bluetooth, and feeds the bike’s stats to the user, allowing them to programme their own riding modes. 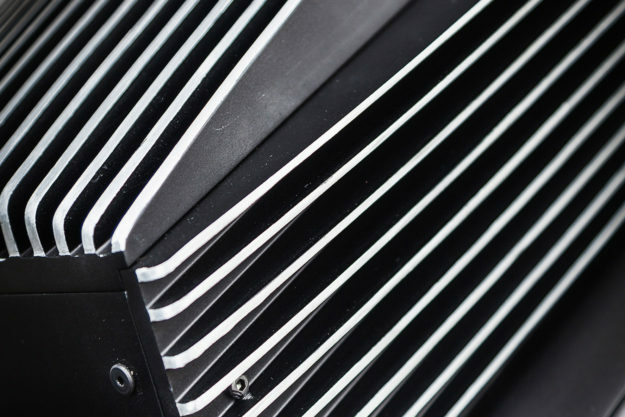 Bruno wedged the new mill into the frame, refinishing everything in black and polishing the cooling fins to add some contrast. The layout is far less cluttered than a traditional engine, adding a touch of minimalism. The rest of the bike’s been built up with more conventional chopper parts. 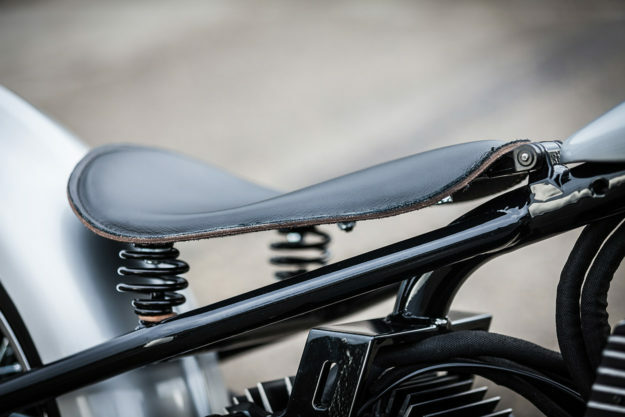 There’s a Rich Phillips seat, sitting on Lowbrow Customs springs. And the rear fender is a modded Led Sled Customs item, with a small LED tail light tucked into it. Bruno fabricated the spring mounts, fender struts and license plate holder himself. He also built a neat little dash, to hold a digital Motogadget speedo and warning lights. 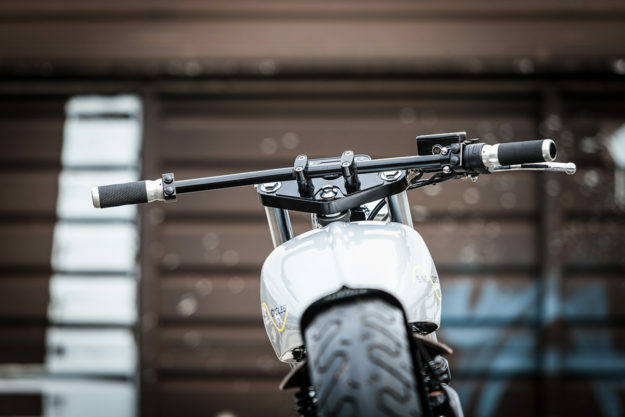 The bars are from LSL, capped off with Motogadget switches and modified Louis grips. The final piece of the puzzle is the Cole Foster tank. Obviously it holds no fuel; Bruno’s modified it to house the electronic components used by the Zero engine. He’s taken it to a couple of shows though. 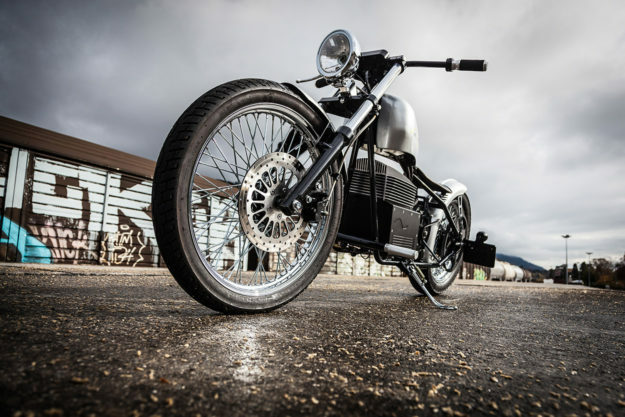 Apparently some guys love it—but others only love it until they find out it’s electric. 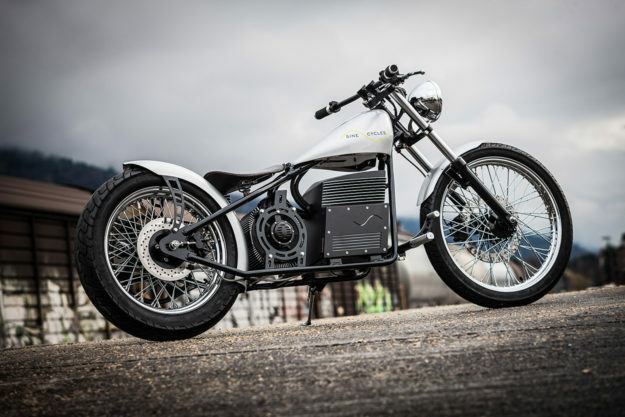 So what’s it like owning an electric chopper? Was that an offer, Bruno? I think it’s time we booked our tickets to Switzerland.